MIKEL LABOA: 10TH ANNIVERSARY OF HIS DEATH by Maria Zendegi. Oñati Community facilitates contact between people who have had a chance to enjoy their stay in Oñati. Although we are open to friend scholars who have not had this opportunity yet, we strive to encourage everybody to come and make use of our facilities. In order to help us expand our community consider donating some money. We will use these funds to offer scholarships for the IISJ Master's students from developing countries. 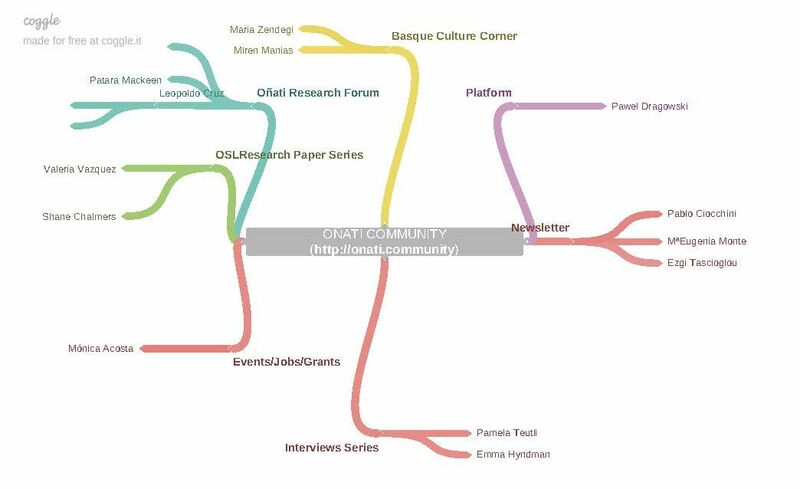 We want all people who have visited the IISL to stay in touch, exchange ideas, participate in online and offline meetings and, hopefully, revisit Oñati one day. Join us now and become an active member by using all tools that we offer you to help us shape our Community!